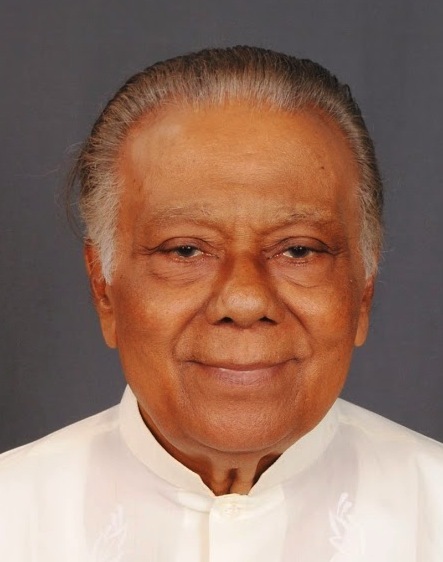 TNA’s proposal to make Wigneswaran the common candidate at the next Presidential Election was a pleasant surprise to me. It was pleasant because it echoed my belief that with the expanding vistas and liberalism of our younger generation, a Northerner would become our Head of State by the middle of the century. But it is clearly evident that we have not attained that level of maturity as a Nation, so far. If the TNA’s nominee is not acceptable, Sumanthiran wants to know the reason why. Evidently he is kite-flying on the communal response to the choice. But ethnicity is not relevant here. Not only the TNA, but also any other Party offering a politician in practice as the common candidate is bound to be disappointed. The reason is that any such candidate will naturally ignite rivalry, because of the potential in him to upstage himself and his Party in the process. The advantage gained by the selection would finally accrue to his side to the detriment of others. There appears to be a confusion here between the terms ‘common candidate’, (CC) and ‘single issue candidate’ (SIC). A CC is selected to represent the interests of Parties with common interests and after election, he continues his assignment. On the other hand, a SIC is one who comes forward to pool the votes of all opposition Parties, irrespective of differences among themselves, for the sole purpose of defeating a seemingly invincible personality in power. There is a definite end to the SIC’s assignment. He has to oust the strong man, prepare the stage for democratic rule and go home. Such a nominee has to be necessarily a-political and have no political ambitions of his own. No one in active politics can play that role, for obvious reasons. Thus searching for a SIC among politicians of any hue is an absurd venture. Harem Guard vacancies are reserved for eunuchs only. The indications are that reformists in search of a SIC have already chanced upon an effective challenger to MR. Hence the excitement in the government to advance elections and to fix the order in which they are held, not to mention SOS summons to Temple Trees and VIP visits to religious leaders and sanctuaries. The signs are that the grip that MR had on his Ministers and MPs is getting lose. Some of them defy the Division Bell. Others hold separate May Day Rallies of their own. Vociferous supporters of yesterday are issuing open challenges to government policy. There are public statements made by Ministers denouncing cabinet decisions. Rats desert a sinking ship, however kind the Captain may have been to them. The ‘coming colour’ is definitely ‘no good’. 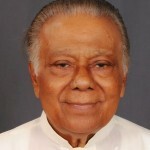 MR certainly has a huge fund of good will on his side, mainly due to his unique contribution to the defeat of the LTTE. His vote bank in the rural sector, built with populist tactics, is formidable. The escalating resentment to the regime is largely due to the gimmicks, lawlessness and extravagance of those near him and the corruption, waste and inefficiency of those trusted by him. For himself, MR has managed to keep his head above water except by the self-seeking move to extend his term of office and to politicize the Independent Commissions, not to mention the impeachment of the CJ. The loss of faith caused by these misadventures has begun to rock the boat and eat into the stock of goodwill for the government. The ‘SIC Movement’ is the direct outcome of these indiscretions and the indications are that the turf is going to be murkier as time passes, making it impossible to defeat a well-organized united team. A case of, “Vaulting ambition, which o’erleaps itself. And falls on th’ other”. But MR still has a chance to turn the tables on his opponents. That is by listening to the advice of his Ministers from the left wing and jumping the gun over the Opposition’s move on promulgating a new Constitution, after the victory of the SIC. If he thinks that a third term is out of the question under the changing scenario, MR can convene a Constituent Assembly himself and promulgate a liberal Constitution under which he could contest in an environment devoid of the autocratic trappings of the 18th Amendment. His change of course and the seeming sacrifice of power is bound to generate a fund of sympathy among the masses, making them forgive his foray into Disneyland. With unpleasant past memories thus erased, MR will stand head and shoulders above anyone who would come forward to oppose him at the ensuing election. Thus MR has two choices. One is to ignore the gathering storm and face the next Presidential Election for his third term, risking the challenge of the SIC. 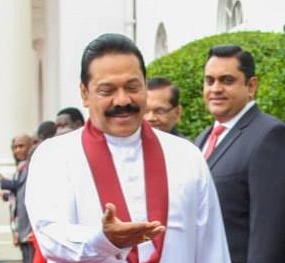 The other alternative is to turn over a new leaf by taking steps to replace the much maligned despotic Presidency with a democratic Constitution and face a Parliamentary election, thereby cutting the ground under the SIC’s feet. Being a past master of political manoeuvre, MR has the acumen to decide on the next move on his own. This is a gamble, the failure of which could be the end of the road for a man who has enlivened the political arena for several decades. It goes without saying that it is always better to reign in Diyavannava than to mope at a tottering Queen’s House. Countering The Eelam Project 1 & 2; Is The Indian Model The Answer?